Founding member of the European Union, Italy has been undergoing major economic and political changes over the past years, which has led us to reconsider the country's role in the European construction. 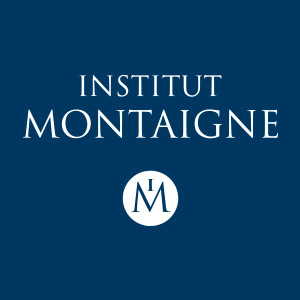 Andrea Montanino, Italian economist and member of the Atlantic Council talks to the Montaigne Institute about his country's current situation. What are the important political divisions regarding economic matters within the current Italian political landscape ? The most important thing to say about Italian politics regarding the economic policy is that mainstream parties have very similar views. If you take a look at Italian economic policies over the past twenty years, they all follow more or less the same line, both on centre-left and on centre-right. All governments were mainly in favour of sound public finance, keeping public debt below the 3% threshold set by the Maastricht Treaty. They also sought to make the labour market more flexible and carry out reforms in public administration to create more efficiency. Regarding the smaller and more extreme parties, none of them question the euro anymore. The Five Star Movement and the Northern league had been questioning the European Union membership, but according to me, this stands outside the debate today. The next electoral campaign will be based on social issues, such as the kind of politics that can be put forward for the most vulnerable people. The new movements at the left of the political landscape are strongly positioned on these questions. Another important area will be taxation. Both the Democratic Party (DP) and Forza Italia agree to reduce taxes, with the difference that the DP is keener to keep the deficit low and it will thereby try to reduce expenditures too. The centre-right does not demonstrate big attention to spending, which is what one can expect from a conservative party. The Five Star Movement’s economic agenda mainly focuses on two elements : the costs of politics, which mainly comes down to reducing salaries for members of the parliament, and the idea to provide all Italians with a minimum income. Today, the party has not provided any explanation on how they want to implement these ideas. The minimum income policy should be applicable to all citizens. However, its applicability regarding migrants living on the Italian territory is bound to constitute a highly sensitive issue. All in all, the bottom line is that I do not see, in the last five governments (including Berlusconi’s), relevant differences in their ideas but rather in their ability to implement them. The centre-left and centre-right have more experience in government and thus in implementation, but I ultimately thing it comes down to political leaders’ personality. There is a general policy continuity in Italian economic policy and I am not expecting very different electoral programs, except for the Five Star Movement, the Northern League and parties left of the DP. What are the internal reasons of the amelioration of Italy's economic situation ? There are many reasons for the amelioration of Italy’s economic situation, both internal and external. As far as external reasons are concerned, the ECB’s current monetary policy is allowing both the sovereign and the private sector to borrow at low rates. The general condition of the European economy, which is making progress, is also helping the Italian economy. In terms of internal reasons, there has been, for a long period of time, a very low level of investment of the private sector and this is changing now. The private sector is starting to invest again, which is helping Italy’s economic situation. Reforming the labour market provides a better framework, and although investment (rather than rules) create jobs, it does makes things easier. The Italian export sector is very strong at the moment, and was going very well in the past month as the euro was weaker. We will now see what happens in the coming months with the new exchange rate between the euro and the dollar. Overall the fact that the private sector is starting to invest more and the weak euro are a combined set of reasons for the amelioration of the Italian economy. Moreover, private consumption is also increasing, which is due to banks providing more credit, thanks to a renewed confidence and stability in the banking sector. Do you think Italy could be the starting point of a new European public debt crisis ? Given the current condition of the European economy, I would say no. Italian public debt is manageable as it has been in the past. It is even easier to manage now thanks to low interest rates. Even after the end of the quantitative easing, interest rates will increase slowly and I do not expect much change. As long as we do not witness another major world crisis or European crisis that could entail a loss of confidence for Europe in general, I do not see any risk of Italy being the starting point of a new European public debt crisis. The real problem is how to create more economic growth in Italy giving the burden of public debt. In order to finance its high level of debt, Italy spends around 17 billion euros every year for interest payments, when it could reinject this money into the economy or use it to lower taxes. This results in a complicated situation for the country’s public finances, stuck between high public debt and high interest payment and therefore not leaving it much fiscal space to reduce taxation and to increase economic growth.